Description: Does he dream of an NFL career someday? 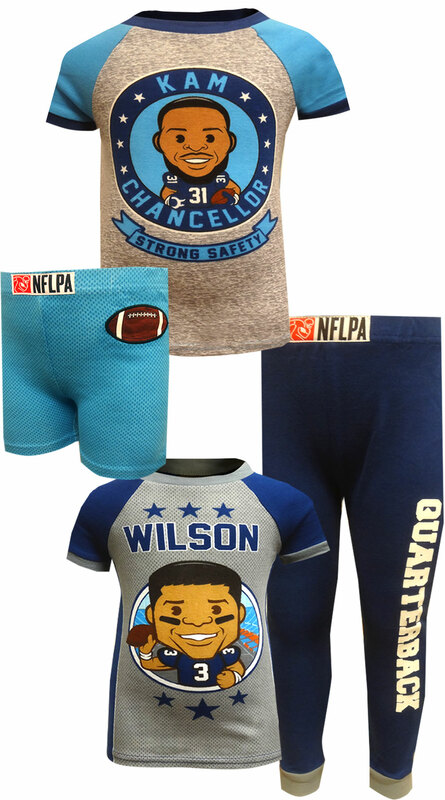 Perfect for all young NFL fans, these cotton pajamas for boys feature two sets of pajamas. One set features star quarterback Russell Wilson from the Seattle Seahawks, with a short sleeve top and long pants. The second set features star safety Kam Chancellor, with short pants and a short sleeve top. Machine wash. Designed to be worn snug-fitting for child safety.